Ford is expanding its Blue Oval Scholarship scheme in a bid to get more women interested in a career in engineering. The carmaker’s European Chief Operating Officer, Barb Samardzich made the announcement at a roundtable event at the House of Lords attended by the Secretary of State for Business Innovation and Skills, Vince Cable MP. Its Blue Oval scheme was first launched in 2011, to mark 100 years of UK manufacturing by Ford and with an aim to foster a new generation of engineers, scientists and innovators. In its first year, Ford awarded 100 undergraduate students scholarships of £10,000 each, paid over a three year period. Of the initial 2012 group, 25 per cent were female scholars, but Ford now wants female participation to 50 per cent while simultaneously confirming the funding of a further 10 Blue Oval Scholarships a year in the longer term. The first 10 will be funded in the 2013/14 academic year, and Ford will partner with five universities across the country. Barb Samardzich and Vince Cable MP opened the roundtable, which was attended by a cross-party group of MPs and senior female representatives from the engineering community, including Prof Isobel Pollock, Former President of IMechE and Dawn Bonfield, Vice President, Women’s Engineering Society. 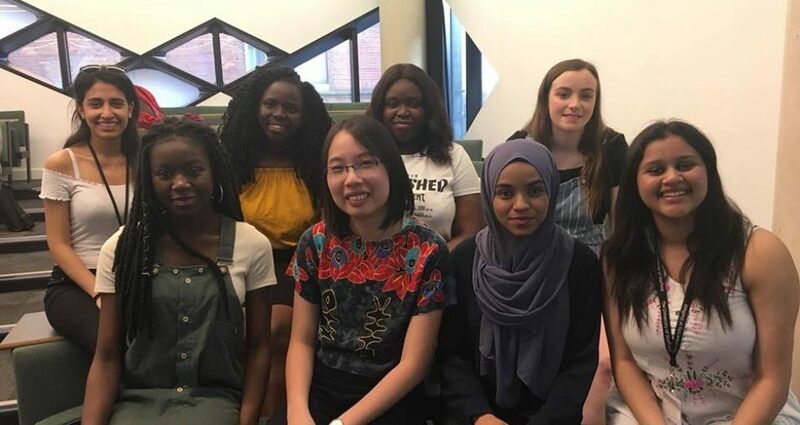 The event followed the release of the Perkins Report which revealed that the UK has the lowest proportion of women in engineering professions in Europe at under 10 per cent. In response, Professor John Perkins has called for concerted action by the profession, industry and government, and the Ford-hosted event was convened in response. The event was attended by current Blue Oval Scholar, Sophie Vanderspar, Mechanical Engineering Undergraduate at University of Southampton, and former Ford Craft Apprentice, Lauren Robinson, who is now a full-time Ford employee.